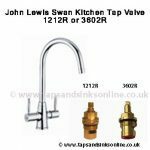 Kitchen Tap Reviews, whilst completely biased, will hopefully make your shopping experience in our Taps and Sinks Online Store a little easier. …I say ‘aspiring’ because if you want the real McCoy, prepare to pay hundreds / thousands… but if you want to achieve a certain ‘look’ in your kitchen at an excellent ‘value’ price, then this is the professional kitchen tap for you! 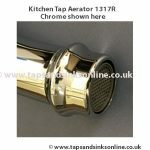 This professional kitchen tap is without doubt a statement piece in your kitchen. It probably leans more towards contemporary kitchen styles, but I have come across more traditional feel kitchens where this tap can equally look at home. Just bear in mind that contemporary kitchens tend to be more minimalistic and this is a tap that should be Queen of the worktop! So if you are putting it in a traditional style kitchen, then place it somewhere that it can preen tall over the rest of the kitchen! 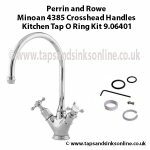 Take a look at my Pinterest board ‘professional kitchen taps’ to get some ideas of what this style of tap would look like in different kitchen settings. It’s a beautiful simple designed tap and I love the single side lever which nicely counterbalances the busy spiral design along the spout. This is really excellent value if you want to add that ‘professional’ look to your kitchen. 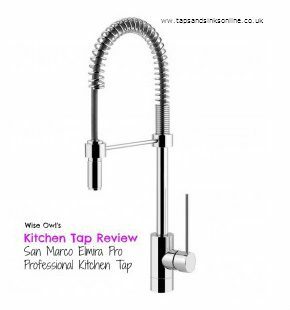 This is a kitchen tap designed and manufactured in Italy and because we have been supplying San Marco Kitchen Taps for over 20 years we stock all the kitchen tap spare parts and can trouble shoot most problems just by contacting us. At 563mm tall it is VERY tall… for a height comparison, most swan neck style kitchen taps have an average height range of 300mm, so that will give you some idea of its height! This height gives you maximum reach and flow control to your kitchen sink bowls. And from an aesthetic point of view, it’s height adds that dramatic finishing touch to your kitchen, especially on an island. It will equally look good in a countertop… just don’t put any low lying shelf overhead like I have seen as that completely detracts from this kitchen tap. …functional. Most ‘Professional’ Kitchen taps within this price range, and beyond, have only decorative hoses. If you are looking for a functional pull out spray hose, this is not the tap for you. The nozzle can be detached from its nozzle clip which gives you an additional lower reach but we stock pull out spray hoses for prices as low as £142 including VAT (such as the San Marco Elmira Pull Out Spray Hose Kitchen Tap), but the height would be lower at 390mm. This might or might not be an issue…but i always draw attention to the water pressure guide of any tap (kitchen tap or bathroom tap) in our Store because i believe in not making life any harder than it needs to be! It’s always prudent to check out the water pressure of any kitchen or bathroom tap before you purchase it. 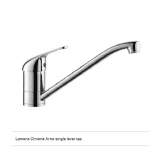 The Elmira Pro, being a single lever tap, uses a valve that would not be an ideal choice (unless you have a pump system) if you have issues with low water pressure on the hot water side of your kitchen tap (see our guide to choosing the right kitchen tap if low water pressure is an issue). 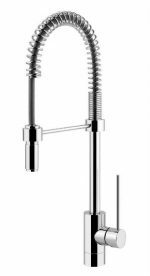 The Carron Phoenix Dante Pro Professional Kitchen tap with its two levers uses a quarter turn valve which would be a little better. Although if you have low water pressure issues at all… then we would always recommend a tap with a compression (twist turn) valve or install a pump. 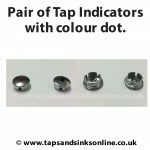 If you require any further information on this tap, or any other product in our store, please contact us today!